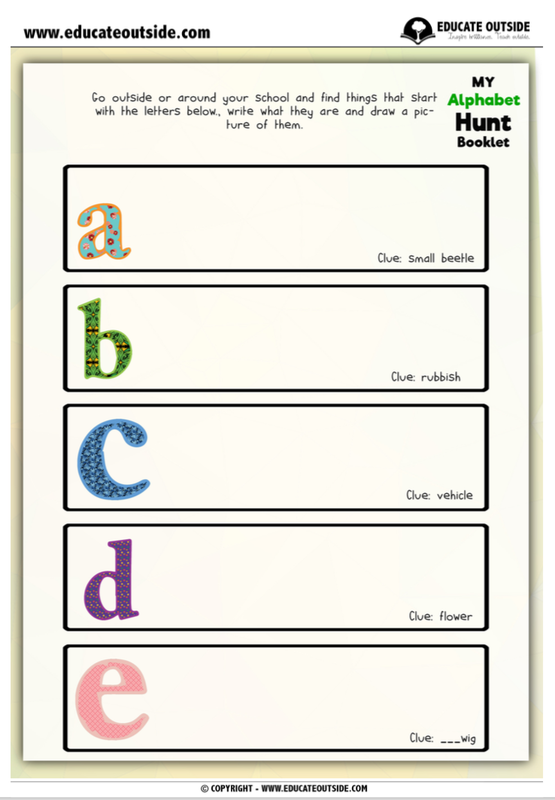 This outdoor letters and sounds alphabet activity can be used in a variety of ways for children aged 4 - 8. 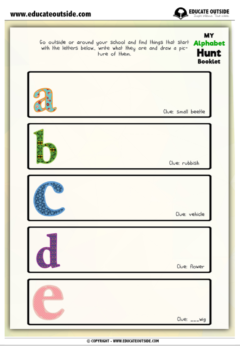 Your class will go around their outdoor space finding things for each letter of the alphabet and either drawing or writing them on the sheet. A differentiated set is provided with clues for some letters. 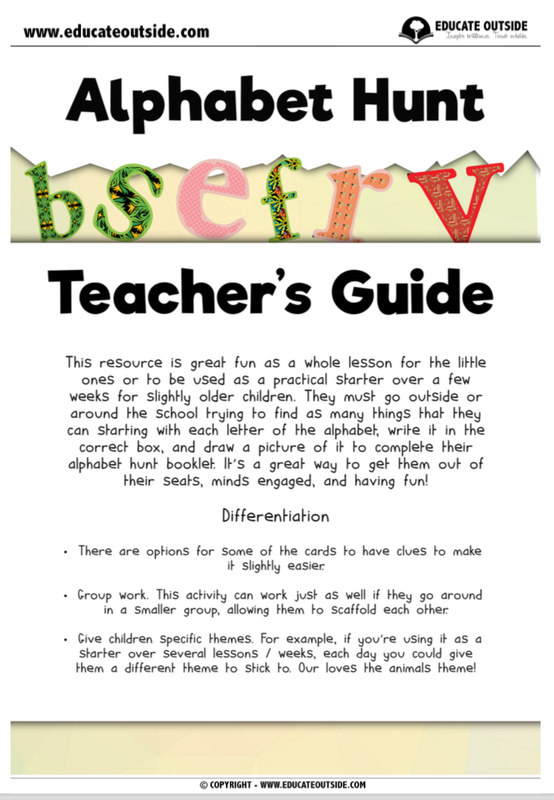 This can be used as a whole lesson activity for younger students or as a great warm up activity for the older students. 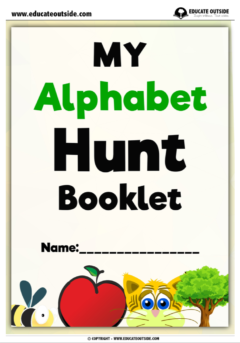 A - Z worksheets with clues (diff. 1). A - Z worksheets without clues (diff. 2).